Tourists call it the ‘Gastronomic Center of France’, expats who actually live there, simply call it ‘ville fleurie’ or flowered town. Lyon is known for both its exquisite rendering of French cuisine and its endearing beauty. Who can possibly resist living in a city where you can enjoy the most delicious baguette surrounded by the season's most beautiful flora! A picturesque metropolis in the heart of France, located about 470 kilometres from Paris, Lyon is nestled between two vibrant rivers, the Rhône and Saône rivers. Its idyllic backdrop is set by the hills of Fourvière and the Croix-Rousse. The Fourvière, or the ‘hill that prays', is located on the west of the city centre and is home to religious infrastructures such as the Notre-Dame de Fourvière basilica and the palace of the Archbishop. Further north of Lyon is the Croix-Rouss, which in turn is known as ‘the ‘hill that works' and it houses small silk workshops. Lyon has nine arrondissements or boroughs. The 2nd arrondissement is home to many Catholic Lyonnaise families as well as some of France's finest old residential buildings. Known as one of Europe's biggest urban parks, the Parc de la Tête d'Or can be found on Lyon's sixth arrondissement. Fairly temperate is how to best describe the climate in Lyon. Spring season experiences a bit of rainfall every now and then, while summer is generally sunny and pleasant. Autumn gets most of the annual precipitation, and with its close proximity to the Alps, winters are expectedly freezing. Lyon is the second largest metropolitan city in France, next to Paris and also the second richest city in France, with a GDP of 52 billion Euros. The city has a population of 472,305 people. Lyon is a business centre of the country with established expatriate communities, most of which are made up of North Africans. 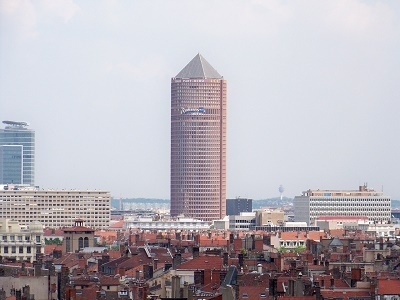 Companies like Euronews, Toupargel, Lyon Airports, BioMérieux, LVL Medical, Voisin (Chocolatier), CEGID, Boiron, Infogrames, GL Events, and Alptis have their headquarters in Lyon. 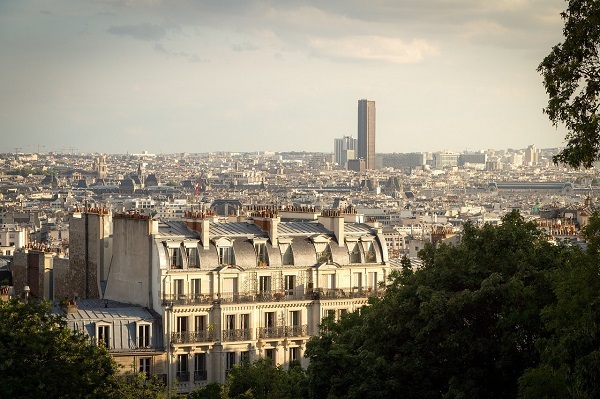 The La PartDieu which is located in the city's third arrondissement is the second biggest business district in France. Interpol headquarters, on the other hand, is situated in the Cité Internationale (International City) found in the city's sixth arrondissement. Tourism is one of Lyon's major industries, contributing one billion Euro to the city's economy back in 2007. Most tourists visit the city for business, but it also attracts visitors during festivals like the Fête des lumières (Festival of Lights). The third biggest city in France, Lyon is rapidly becoming an expat magnet because of its significant role in the country’s banking sector. Considering relocating here is a good move towards the growth of your professional career since Lyon is currently France’s most powerful city because of its dynamic economy where you can find employment opportunities in different fields such as biotechnology, software and game design. Lyon is also believed to be the best place to learn about the French culture because the locals are still firmly and passionately rooted in traditions. So here are a few but helpful tips that can help you in securing a smooth relocation to this wonderful city. 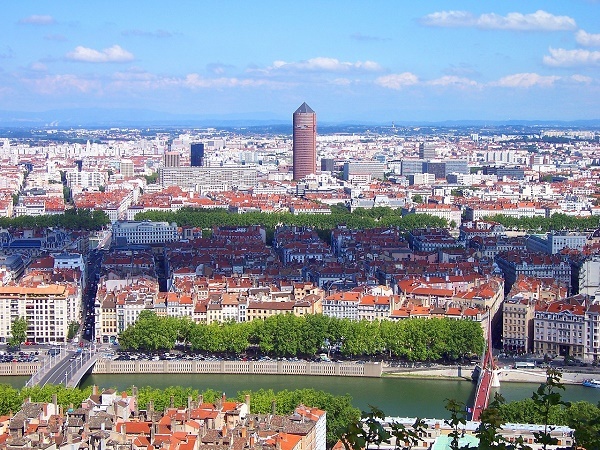 Finding the best place to live in Lyon is one of the top boxes in your checklist. You can do some research beforehand by browsing through online portals that post real estate properties in the city. Most advertisements include the prices of the rentals which will give you an idea of how much to budget for your housing needs. If you are not good at speaking French, it's better to contact English speaking realtors once you arrive. They can help you communicate with the landlords and show you the best options in the neighbourhoods. The average monthly cost of your utilities is around €150 per month. Once you are settled, you can apply for other services like internet connection which can cost around €35 monthly and mobile service which is billed at €0.25 per minute for local mobile calls. The rental cost in Lyon is considered to be cheaper than other cities in France, and you have the flexibility to choose between a short term and long term lease agreement, depending on your planned length of stay. You will find a huge number of expats living in the cosmopolitan where they are close to amenities, schools and work offices. The price of a one-bedroom apartment in the city centre starts at €600 per month and €1000 for a three bedroom unit. You can also find decent rentals on the outskirts where the average price of a one bedroom flat is €420 monthly, and a three bedroom unit is roughly €800 per month. International schools have always been the top choice of parents who are moving abroad. These institutions are best for children of foreign assignees because it allows them to continue with the same educational structure when they head back home. One of the best international schools that uses the International Baccalaureate Program (IB) is The International School of Lyon. Public and local schools in Lyon are free and compulsory for all children up to the age of fifteen where the primary language used in teaching is French. The University of Lyon is one of the most prominent state universities in France and has been providing quality education since 2007. Whether you are an experienced or first-time expat, the process of moving your belongings abroad is one of the tasks that require a lot of time and attention. Thankfully, many international shipping and removal companies provide door to door service to Lyon where they will take care of the shipment of your packages until you receive them in your new home. Containers bound to Lyon are scheduled to arrive in the Port of Fos Sur Mer within 6 business days, but this will still vary depending on your country of origin. To know more about the city’s import regulations, click here. All pets being imported to Lyon should have a microchip as a form of identification. Dogs, cats and ferrets coming from non-EU states should have the Annex IV Form for France issued by a licensed veterinarian from their country of origin while those from EU countries should have an updated Pet Passport. Lyon is a city where you don’t have to worry about language barrier because the French people are patient and more than willing to assist you as you go through the adjustment process. You will be glad to know that you are about to live in a city whose most prized possessions are the locals’ hospitality and welcoming hearts. Also referred to as Lyons, this city founded by the Romans has a population of around 2.22 million people which makes it the second-largest metropolitan in France. Roughly 13% of its inhabitants are foreign-born whereas a majority of the migrants are from Africa and member countries of the European Union. Lyon is located in the east-central France and is the third-largest city next to Paris and Marseille. The city is promising to many expats as it has been listed as one of UNESCO’s World Heritage Site. It is also known for its cuisine, historical and architectural landmarks. Expats are to prepare themselves for the chance to work in some of the finest sectors in the city including biotech, pharmaceutical, software and chemical. Music, movies and arts also have a special place in Lyon’s heart as the cinematography industry was invented here. Museums, animals and parks are some of the highlights when expat kids are to enjoy Lyon. The number of indoor and outdoor activities to explore in the city is too many and some of which includes cinematic museums and lovely parks. For instance, the Tete d’Or Park is a zoo, circus and a playground for kids to enjoy. The greatest thing is that the entrance fee is free which gives the kids the chance to visit it more than once. Puppets are also dear to Lyonnais (locals of the city) kids, and expat parents should take their kids at the Musee Gadagne which has a collection of 2000 puppets coming from all over the world. Yes, Lyon prides itself on being the food capital of the world and gastronomic heart of France. The Lyonnaise cuisine is a term used for the cooking practices and traditions that are mainly used in the city of Lyon. An authentic Lyonnaise menu is composed of a pig or beef meat, tripe (cow or pig’s stomach), andouille (grilled chitterlings sausage) and boudin noir (blood sausage). Some of the most traditional dishes in Lyon that expats shouldn’t miss are cerverlas (raw pork sausage), chicken liver salad, quenelles (dumplings made from flour, egg and cream) and truffles. No French meal is complete without wine, so those who are about to live in Lyon should expect that most restaurants serve house wine that is either a Côtes du Rhône or Beaujolais. Although Lyons is best explored on foot, there would still be instances that expats would have to either hire or buy a care. For hiring a car, the minimum age requirement is 18 years old, and the driver must have a national driving license and insurance. For those who would like to purchase their cars, they should keep in mind that French people are very loyal to their brands, so it is most likely that they will be buying a French-owned automobile. Driving around the city would not be a problem, thanks to the well-improved transport system; however, it is still best to avoid the tunnel during rush hours. Lyon is one of Europe’s vital banking centres. A signal that foreigners would not find it difficult to manage their bank accounts in the city. Everyone is free to decide whether they prefer a local or international bank. Most of the banks in the city are also advanced, providing some of the high services such mobile and internet banking. Banks in Lyon include the major banks in France which are Allianz Banque, AXA Banque, Banque Populaire and Banque Accord. How are you? - Comment allez-vous? What’s your name? - Comment est-ce que vous vous appelez? My Name is - Je m'appelle..
Have a nice meal! - Bon appétit!